Dorr Oliver dealer networks connect clients with some of the best pump solutions equipment available. These networks ensure all clients receive top quality service through extensive training and one-on-one consultations so clients receive the best equipment for the application at hand. Dorr Oliver join together more than 100 years ago. At the time, Dorr and Oliver were two top competitors helping the United States grow from a largely rural and agricultural nation into one of the world’s most advanced societies. Both companies offered first-rate processing equipment, and now the unified Dorr Oliver offers the highest quality equipment available. Dorr Oliver vertical diaphragm centrifugal pump equipment is among the industry’s best and ensures the greatest movement of material in relatively confined spaces. 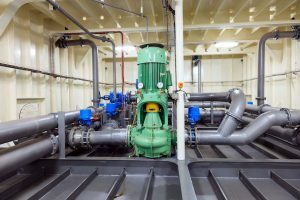 A vertically oriented diaphragm centrifugal pump is the best solution when there is a confined ground space or there is relatively little room for horizontally-configured pump systems. The vertical orientation helps the pump move heavy material faster than conventional horizontal pumps, and the centrifugal pump enables smoother operation and very high efficiency. As a top rated Dorr Oliver dealer, Arroyo Process Equipment understands the products and knows what equipment will work best in a particular environment. If your facility is small or has limited space remaining, it will be best to speak to our specialists about creating a custom, turnkey vertical pump system. A vertical orientation enables the system work efficiently in confined and cramped spaces, while still moving a sufficient amount of material at all times. When you need a Dorr Oliver dealer, there is only one dealer to turn to – Arroyo Process Equipment. We have locations across the state of Florida and even the Dominican Republic to better serve your needs. Over the past 50 years, we have established ourselves as one of the top providers of the pump equipment fluid processing professionals need to keep everything running at their facilities. We even have a global network of authorized distributors who can provide vertical diaphragm centrifugal pump installation and maintenance services for facilities in Florida, Georgia, Alabama, South Carolina, North Carolina and nearby states. Contact us today with any questions.